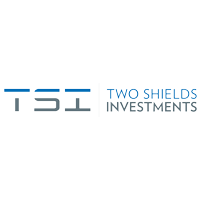 Two Shields Investments PLC (LON:TSI) Chairman Andrew Lawley caught up with DirectorsTalk for an exclusive interview to discuss his background before joining TSI, what investors can expect from him, the key investments in the portfolio, pipeline of opportunities and the company will generate shareholder value. Q1: Andrew, you’ve recently taken over as Chairman of Two Shields Investments, can you tell us a bit more about your background? A1: I think my background really breaks down into three distinct parts. The first part is a qualified accountant really focussed on corporate finance, working in PwC and Grant Thornton. That was followed by a 12-year spell in a senior role for a £1.1 billion private equity fund so managing direct investments into a range of private companies. Most latterly, I switched to corporate and operational roles in a large listed retailer, Dixons Carphone PLC. There I looked after strategy, M&A but also integration following the merger, the development of the new services business. So, I think overall, I feel very lucky to have had the chance to act as advisor and investor and more latterly as an operator which I think gives me a well rounded view of business. I look forward going forward to bring that to bear in investing in a range of new deals. Q2: What can investors expect from you with you at the helm there? A2: I think in terms of communications, I believe passion and clarity and transparency and also giving our investors a very realistic view of what is possible, so I want to make sure that our communications are clear. Over the long term, I’d really like TSI to evolve into an effective and valuable investment business providing growth capital and best in class management support to help the very best founder managed businesses to scale. Clearly, we need to be patient. We’re currently in choppy markets with a lot of moving parts and a lot of unpredictable macro elements but I remain confident that as we enter this period of disruption, it’ll be a fertile period for smaller innovative founder managed businesses. This is the place where I think TSI can play a really valuable role. Q3: What are the key investments within the group at the moment? A3: I think if we look at the portfolio, there are really two parts to that, there’s the mining assets, what I describe as mining assets, and the great capital assets but I think importantly, for me and for our investors, every asset is important. I think, in general, we’re focus on realising value in the mining portfolio as and when opportunities support that for very best value and we can then focus on the greater side, I think both Brandshield and Weshop represent tremendously exciting opportunities. On the Brandshield side, this is an excellent proven business with a well-developed and relatively unique technology, and it has a really tremendous roster of good quality blue-chip customers for whom it’s providing an excellent service. So, this is a business that already has very robust financials and this year, the opportunity for Brandshield to really scale much faster bringing on many more customer in the world. On the Weshop side, again, a really well placed business, there’s significant interest in the market for social commerce, of the proliferation of digitally-driven major platforms become overwhelming, people looking for something more trusted and more authentic. I think Weshop, which has been developed with a lot of insight from potential users and influences, can really fill that gap. So, this year, the business with a new team, with new branding, new proposition is intending to launch and redrive its user base and we look forward to seeing that scale quite quickly. Q4: How do you generate a pipeline of opportunities? A4: Well, I think at TSI, there are two elements to consider. One is my own background having operated in M&A markets for all of my career, I have an extensive network of people to bring in deal flow. Importantly, from a TSI perspective, it will have a really clear mandate in terms of providing growth capital to younger founder managed businesses to help them scale. That a part of the market which is less popular and therefore an opportunity for TSI to have quite a distinct position, so we’d expect to see opportunities coming to the business. Just referring back to my earlier part, I think as we work through this slightly choppy markets, I think opportunities to find good quality businesses that can disrupt existing markets is quite key. Again, we just need to be patient, we need to take our time, find the right opportunities and ensure we don’t make any reckless investments. Q5: Looking forward, how will Two Shields Investments generate shareholder value? A5: Clearly, that’s the most important element of what we do, and we have a lot of long-term shareholders, many of which have not had a great ride more latterly in the business sow e really want to work hard to provide a much brighter future for those shareholders. I think the value question comes in two parts. I think firstly, we really need to shine a light on the existing investments and ensure that the valuation of the business starts to better reflect the value of its implicit both in the mining portfolio and the investments into the growth capital situations. After that, if markets permit, we can raise the capital and the opportunities continue to arise for us. We’d seek to bring in new investment, new growth capital situations, where we can provide our investors with a really interesting risk return balance investing through the public company into a range of founder managed, owned, early stage, growing businesses. We can manage the return up through flexible capital and we can manage the risk down through an intensively hands-on investment model where we work really closely with the founders to de-risk that. So, that’s clearly for the future, Phase I to get full value for the business as it stands today and then Phase II to invest more capital and to drive more deal flow. Click TSI for the full archive.